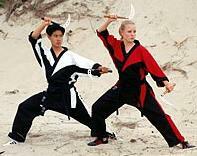 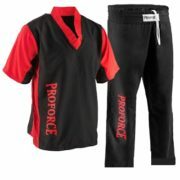 ProForce® Demo Team Karate Uniform - Black & Red - Academy Of Karate - Martial Arts Supply Inc.
Made of 8 oz. 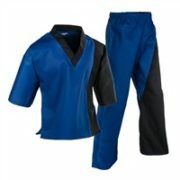 55% cotton/45% polyester. 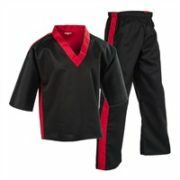 Reinforced stitching and full cut sizing. 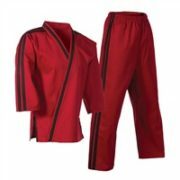 Set includes jacket and pants with elastic drawstring waist.